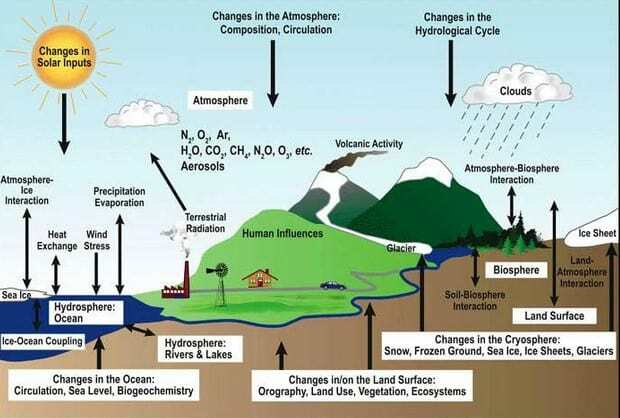 In addition to these climatic feedbacks, there are other non-climatic feedbacks which may enhance or diminish the increase in atmospheric greenhouse gas accumulation. 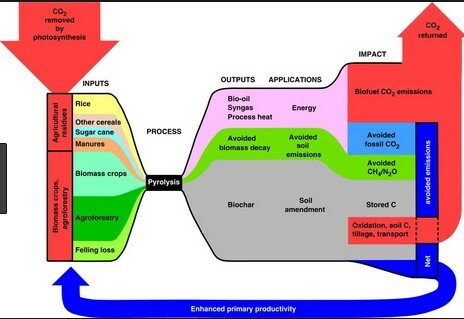 Potentially, there are numerous feedback processes which may act on the carbon cycle, thus affecting the transfer of carbon dioxide between the various components (section 6.4.1). Carbon storage in the oceans will be affected by both changes in water temperature and ocean circulation resulting from global warming. Warmer water stores less CO2 (section 5.3.1.2), and future atmospheric CO2 increase may be amplified by something like 5 to 10% by this effect (Lashof, 1989). 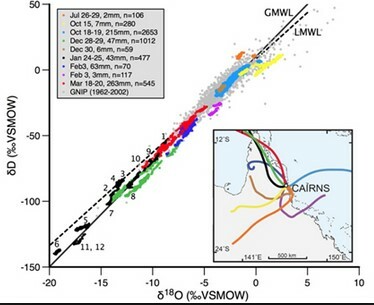 A slow down in vertical overturning within the oceans will reduce the uptake of atmospheric CO2. In addition, reduced nutrient recycling would limit primary biological productivity in the surface oceans, thereby increasing further the surface water partial pressure of CO2, and consequently atmospheric CO2 (section 5.3.1.2). Carbon cycle feedbacks involving terrestrial carbon storage may include carbon dioxide fertilisation of plant photosynthesis (a negative feedback) (Strain & Cure, 1985; Rotmans & den Elzen, 1993); eutrophication involving nitrogen and phosphate nutrient fertilisation (a negative feedback) (Melillo et al., 1993); temperature feedbacks on the length of growing season and photosynthesis/respiration rates (both positive and negative feedbacks) (Lashof, 1989; Melillo et al., 1993); and changes in the geographical distribution of vegetation (positive or negative feedbacks(?)) (Watson et al., 1990). The methane gas cycle may also experience feedback effects. Recent attention has been focused on northern wetlands and permafrost, where increases in temperature and soil moisture would result in significant increases in methane release into the atmosphere (Kvenvolden, 1988). Despite the increased ability of transient GCMs to model climate feedback processes, there is no compelling evidence to warrant changing the equilibrium sensitivity to doubled CO2 from the range of 1.5 to 4.5C as estimated by IPCC, 1990a.